The conclusion of the blessed month of Ramadan is noted by the celebrations of Eid-ul-Fitr. As with many key events in the Islamic calendar, Eid-ul-Fitr is all about celebration and commemoration. It is a time when the Muslim community comes together and unites in faith, showing our dedication to Allah (SWT) and actively working to become closer to Him. An auspicious occasion, this is a day for gifts, charity, praying, feasts and celebrating with family and friends. Fasting during Eid-ul-Fitr is forbidden and Muslims across the world make the most of the occasion, enjoying good food and the company of loved ones. Giving gifts during Eid has been a tradition for a long time and originally, this centred around giving money, sweets or small gifts to children. However, the tradition has since developed and now Eid presents have become more commonplace. During traditional Eid celebrations, children are given new clothes and gifts of toys and sweet treats. However, millions of youngsters across the world have never experienced the joy and excitement of receiving an Eid present. Not many things are more rewarding than seeing a child’s face brighten as they are given a gift – so this is the perfect opportunity to make their Eid extra special. If you would like to donate a gift to the orphan you are sponsoring with Al Mustafa Welfare Trust this Eid, simply select their country and enter the unique orphan ID, which is located in your orphan pack or on the receipt. Why Do We Give Eid GIFTS? Giving Eid gifts, particularly to the younger generation, has become a tradition during Eid-ul-Fitr celebrations. 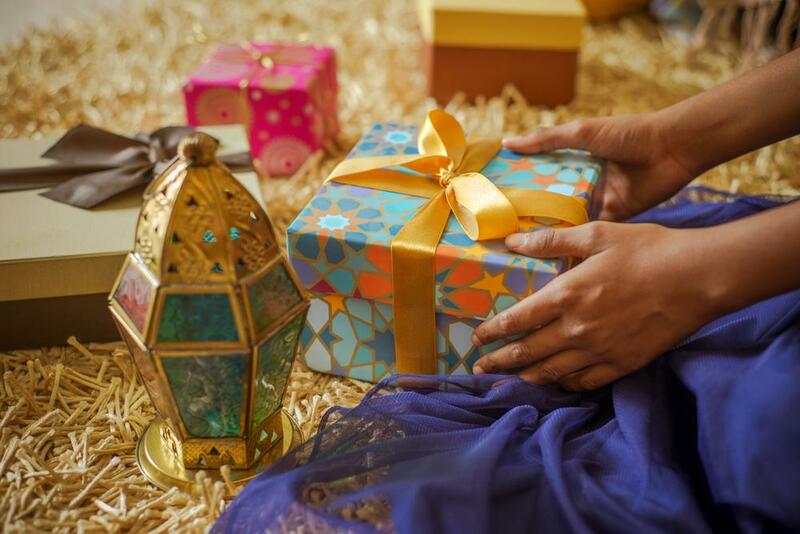 Whether it is toys, clothes, sweets or money, these small gifts have become synonymous with the festival for many families - and indeed, many children look forward to receiving Eid gifts all year round! Additionally, giving Eid presents can help to embed a deeper understanding of giving to charity. Supporting those less fortunate is at the heart of Muslim culture, and throughout the year, many Muslims choose to give generously to causes that support their brothers and sisters around the globe. Whether it is paying your annual Zakat donation or supporting those in need through disasters and emergency relief appeals, this is all a catalyst for creating a supportive, equal society. Teaching young people why charity is important can be challenging, but the act of giving to others is a highly effective way of leading by example. Of course, though, traditionally wrapped presents are far from the only gift available to you. During Eid, gifts of food to enjoy with family and friends are always valued, along with Al Mustafa Welfare Trust’s gift of choice - charitable donations. While you make preparations to celebrate Eid-ul-Fitr this year, spare a thought for your brothers and sisters around the world who are less fortunate and unable to enjoy delicious food, gifts, and even the luxury of spending quality time with loved ones. Giving an Eid gift to an orphan in need helps to encourage the fundamental Islamic principle of giving to those less fortunate than yourself, helping disadvantaged people around the world enjoy their own celebrations this Eid. Al Mustafa Welfare Trust's team work across the world to support the most vulnerable members of our society. We provide medical care, food, water, shelter and daily essentials to refugees and disadvantaged citizens alike, supporting our struggling brothers and sisters in the global community. It’s our goal to bring hope and safety to those who need it. Your Eid gift could make all the difference to a family or young person, supplying them with much-needed supplies like food or clothes. Make a difference and give an Eid gift that goes further by donating to Al Mustafa Welfare Trust today, or giving an Eid Gift to an orphan child.